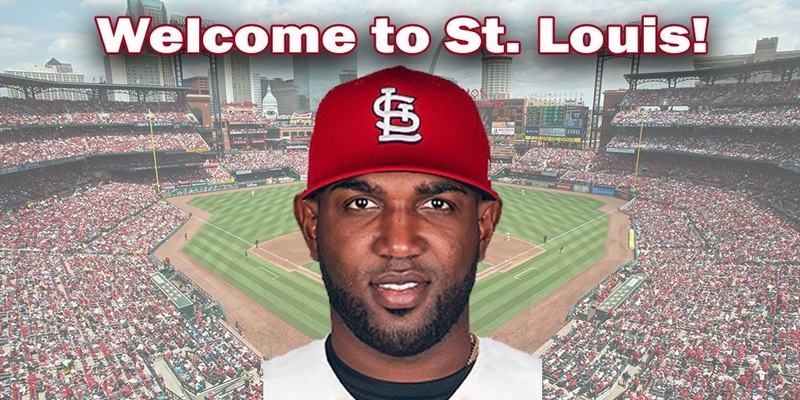 The St. Louis Cardinals announced today that they have completed a five-player trade with the Miami Marlins, acquiring All-Star outfielderMarcell Ozuna in exchange for RHP Sandy Alcantara, OF Magneuris Sierra, RHP Zac Gallen and LHP Daniel Castano. Ozuna, 27, who set career single-season highs for batting average (.312), home runs (37) and RBI (124) last season, earned National League Silver Slugger and Rawlings Gold Glove award selection and was named to his 2nd-straight National League All-Star team. Joining Matt Kemp (2011) and Matt Holliday (2007) as just the third N.L. outfielder since 2003 to compile a .310-plus batting average, 30-plus home runs and 120-plus RBI in the same season, Ozuna finished the 2017 campaign ranked 3rd in the N.L. in both homers and RBI and he stood 7th among the league’s batting leaders. The 6-1, 225-pound native of Santo Domingo, Dominican Republic, finished 15th in N.L. MVP voting last season and led all senior league clean-up hitters (min. 400 at-bats) with his .548 slugging pct. and .924 on-base + slugging mark. Ozuna has a career batting mark of .297 (183-for-617) with 20 HR and 256 RBI with runners in scoring position. The right-handed hitting Ozuna owns a career batting mark of .277 with 96 HRs and 361 RBI in 653 games, all with the Marlins, who signed him as an international free-agent in February of 2008. Ozuna, who has hit 23 or more homers in three of his four full seasons in the majors, finished 4th in total bases in the N.L. this season and was ranked 5th in at-bats/RBI (4.94) and 10th in at-bats/HR (16.57). Ozuna led all N.L. left fielders in putouts (305) and fielding pct. (.984) and ranked 2nd in outfield assists (10), earning his first Rawlings Gold Glove award for defensive excellence in his first season as the Marlins regular left fielder. Ozuna, who has played 410 career games in center field, 174 in left and 65 in right, owns 41 career outfield assists since 2013, ranking T5th in the N.L., 1,469 total chances (3rd) and a .988 fielding pct., the 3rd best in that time span among N.L. fly chasers with over 5,500 career innings played.